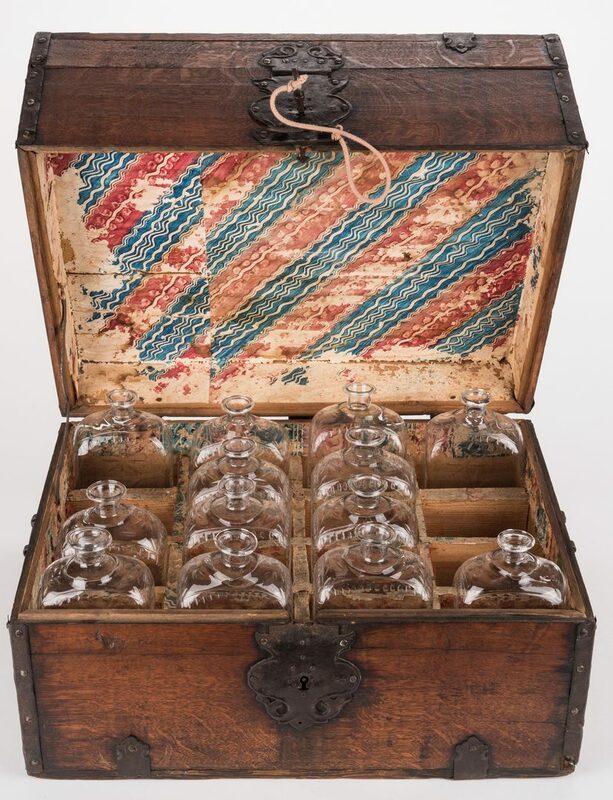 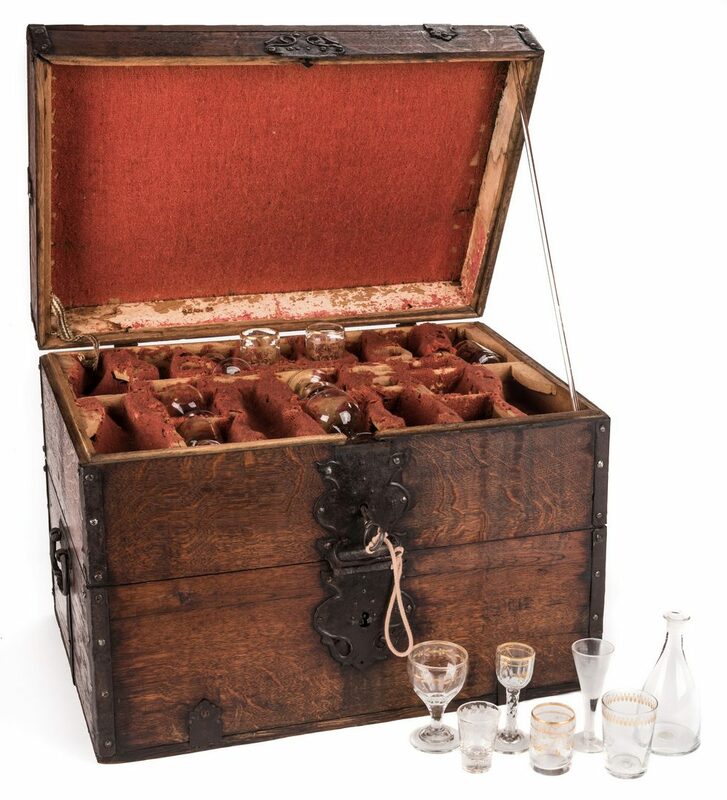 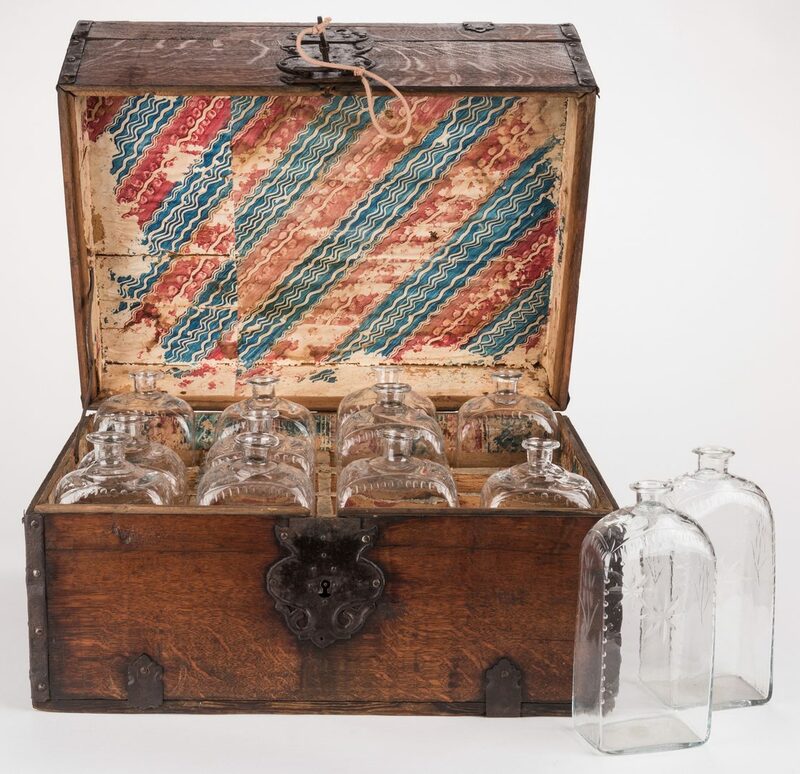 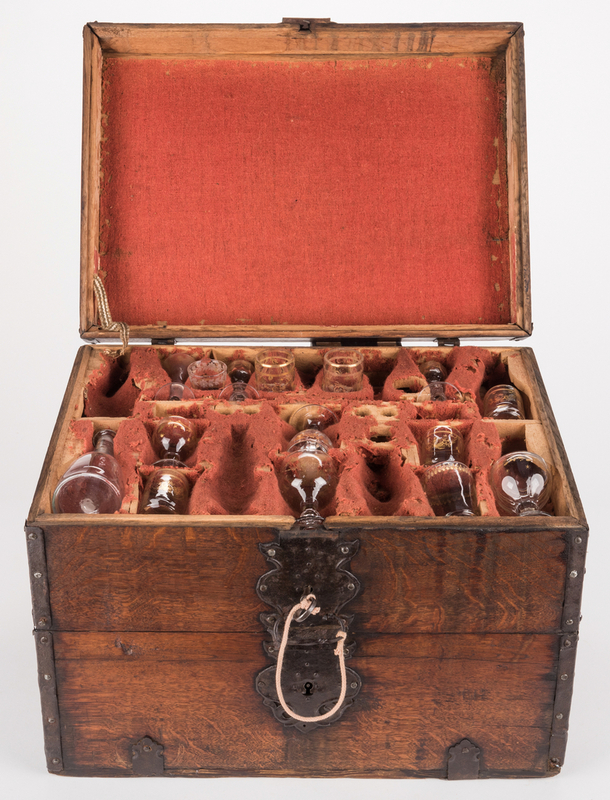 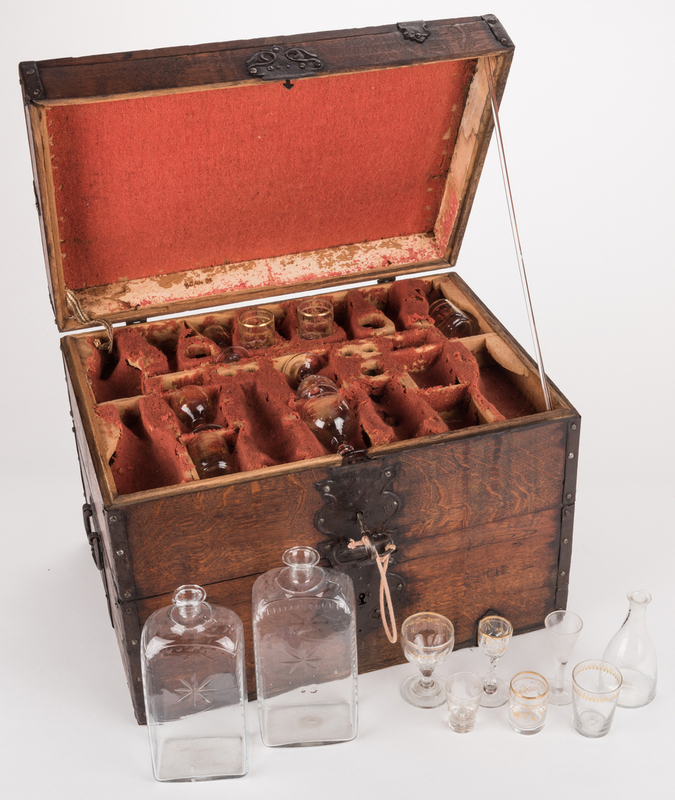 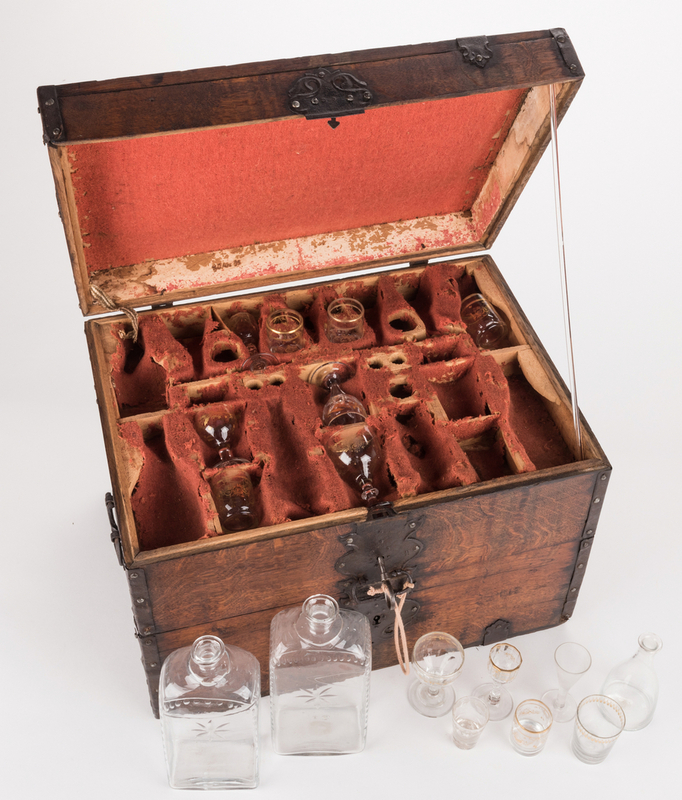 Revolutionary War period officer's liquor chest or cellarette, comprised of two compartments, the lower compartment fitted for sixteen (16) bottles and retains 13 similar blown glass bottles; top compartment fitted for decanters and various glassware and retains an assembled set of blown and cut glassware including 1 decanter, 5 matching shot glasses with gilt decoration, 1 single shot glass with gilt decoration, 7 various stemmed glasses, 6 with gilt decoration and one gilt rimmed glass, 15 pieces total. 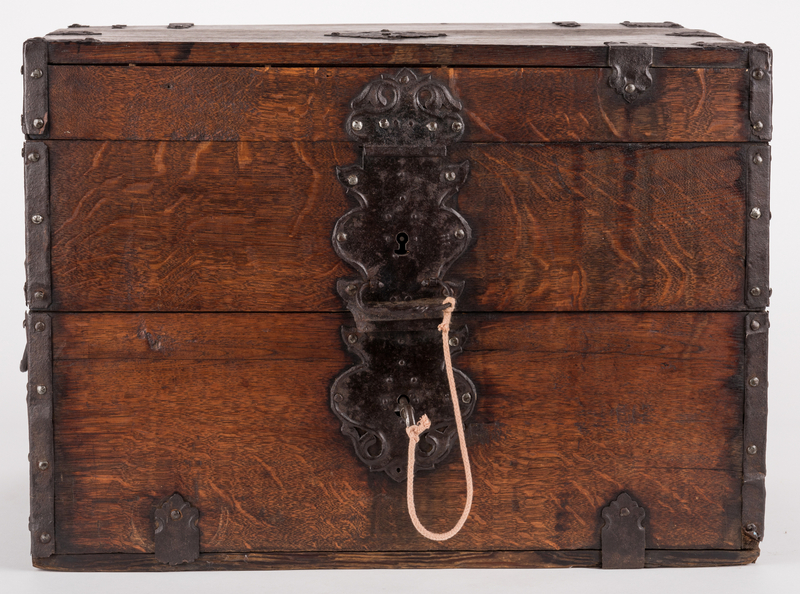 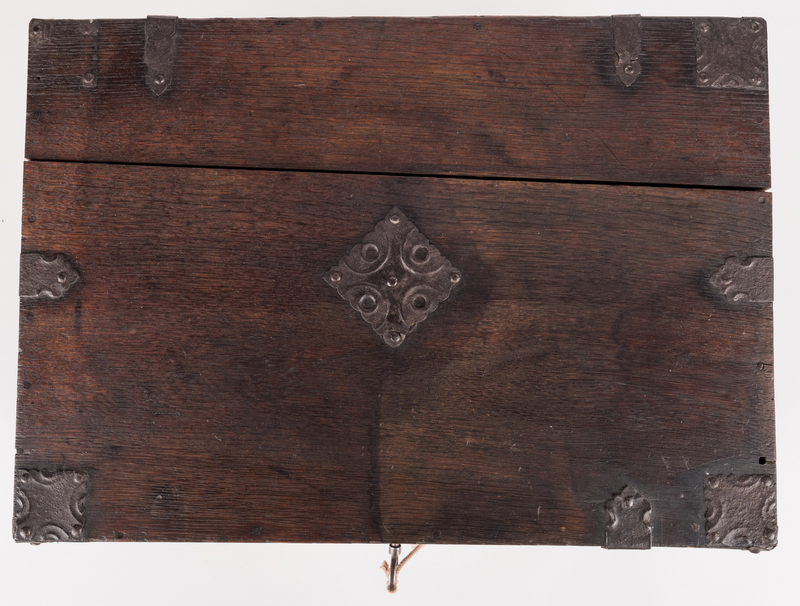 All housed in an oak cellaret case with iron fittings and hardware. 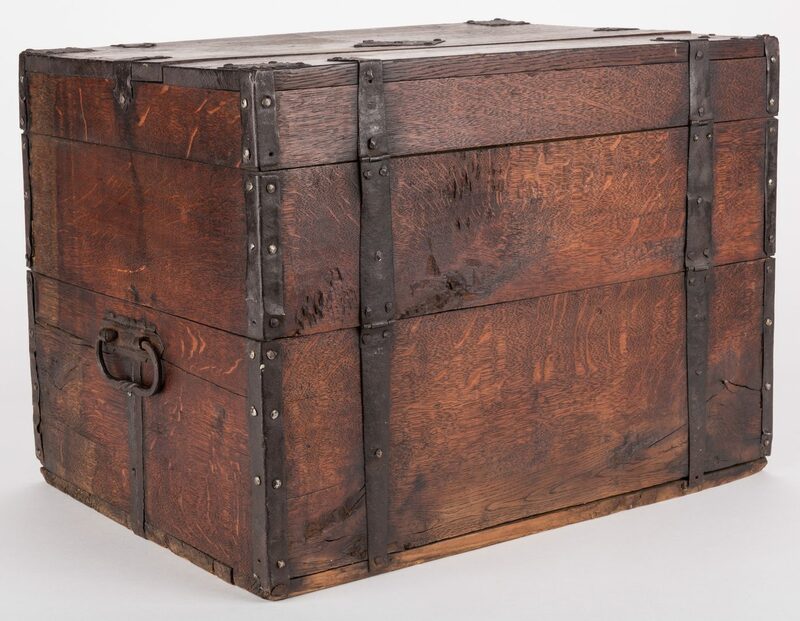 Case – 15 3/4" H x 22" W x 15 1/4" D. 52.8 lbs. 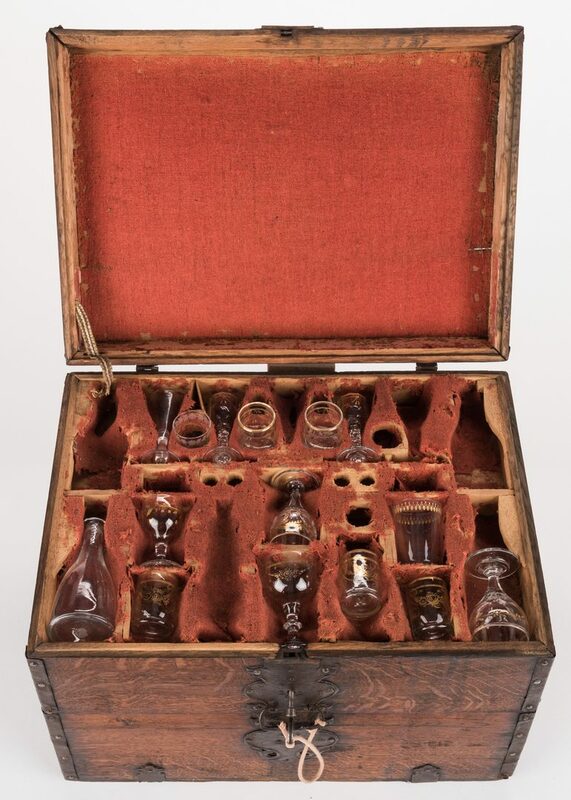 Set likely Continental, late 18th century. 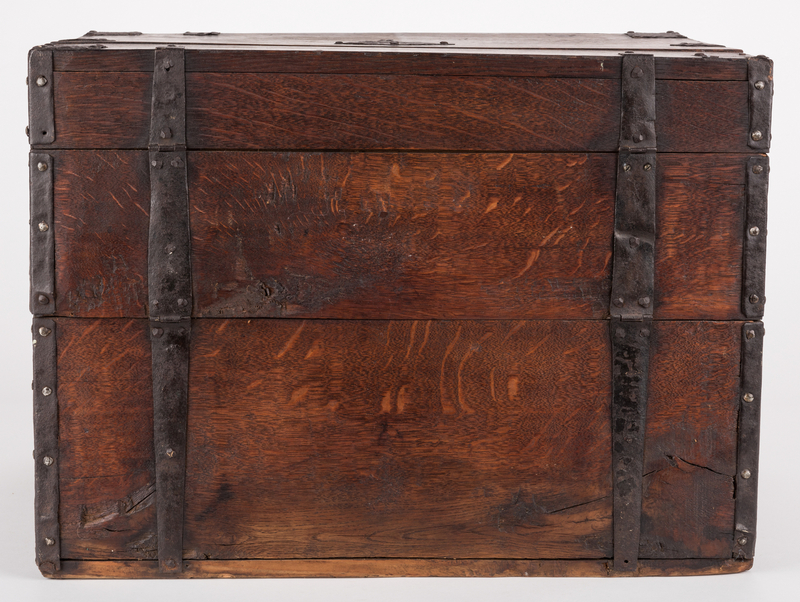 Provenance: Private Florida collection. 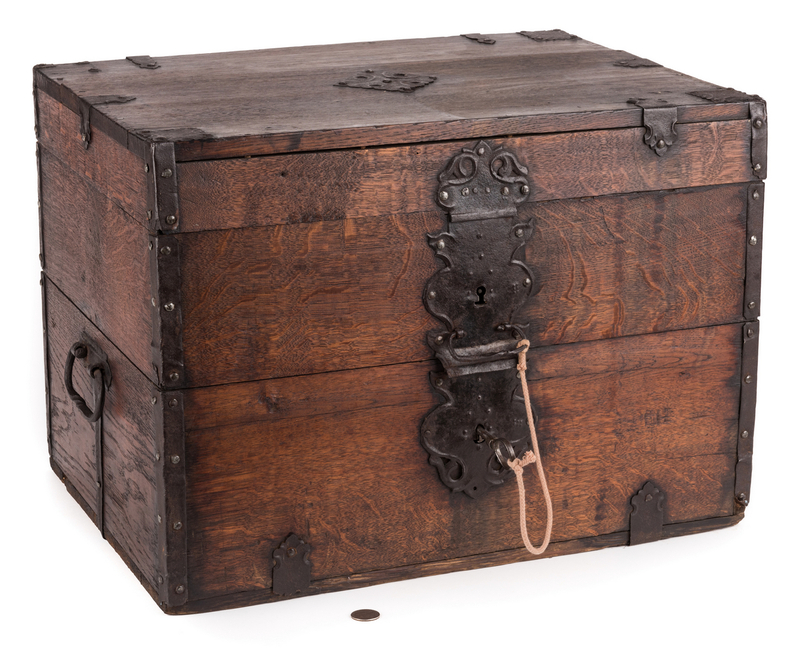 CONDITION: Chest with overall general wear, some stains to top and minor losses to hardware on left side. 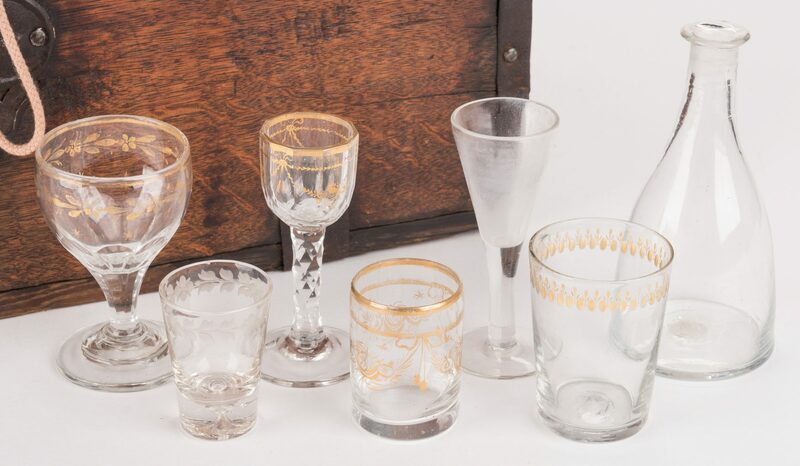 Interior items not a matching set and not complete. 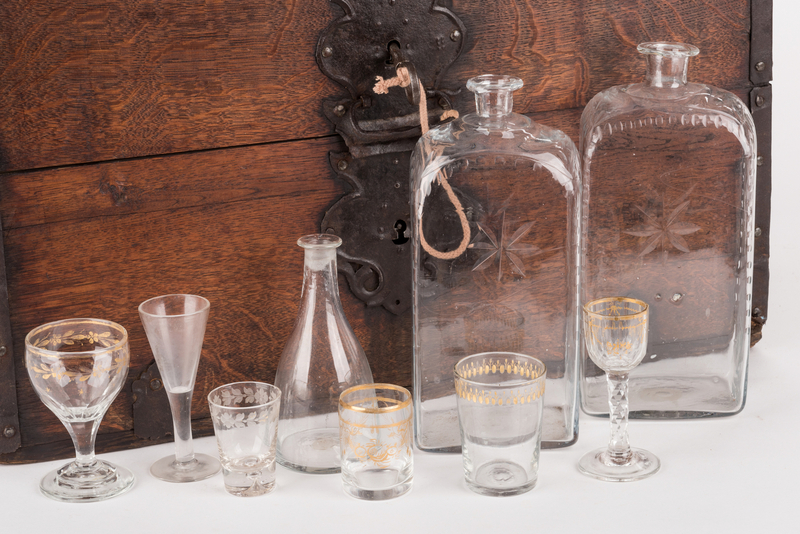 Decanter with chip to rim, remaining glass items overall good condition.